We brought together Roy Williams, Gurpreet Kaur Bhatti, Dipo Agboluaje, Gabriel Gbadamosi, Bonnie Greer, Lisa Goldman, Ahmed Ghazali, Koffi Kuwale, Mohamed Rouabhi, Josip Rainer, Farid Paya, Alain Foix, Philippe Le Moine, Fred Fortas and Jonathan Meth. We spoke of frontiers – how some are more visible than others and we asked how to write what cannot be written: giving voice to the voiceless. We recognised that the collective experience drew on - multiple personalities - Jamaica, Punjab, Zimbabwe, Guadeloupe, Algeria, Morocco, Nigeria, Ivory Coast, USA, Canada, Iran, Ireland, Catalonia. We wondered is there a distinct border language? I write for my team, about class, using many languages, using and for the body (politic) also at crossroads, transgressing borders. We felt like lone wolves aligned with like-minded people. We want to be practical - answers come when I’m doing my work - I am looking to slap myself in the face. We want a platform for radical expression; investing in the imagination of artists. Exchange, mettisage, workshops, translation, production, residency, the bilingual rehearsed reading. In London, In December Roy, Gurpreet, Jonathan, Dipo, Gabriel, Bonnie, Lisa and Philippe met to jointly reflect on Paris and outline future plans. A return visit at Soho Theatre. Subsequently Lisa and Dipo (now writer-in-residence at Soho) offered an August slot – but this was not ideal for the French participant. In Paris in March 2007 Jonathan, Philippe and Alain met with EAT who were staging a reading by Roderique Norman in collaboration with Ecritures Vagabondes. Both agencies should be involved as the project grows. In Istanbul in April 2007 we welcomed French participation in The Fence - Alain, Ahmed, Dipo, Gabriel, Jonathan and Philippe participated in the 9th Fence meeting and consolidated our commitment to each other and our plans. Gabriel and Philippe worked on a bilingual reading of an extract of Alain’s work. Planning discussions prioritised 1. secure a key French partner – La Vilette and Jacques Martial. 2. Gabriel’s invitation from Goldsmiths to come and for the French writers to respond as artists to the election within the wider social and cultural matrix of liberte, egalite, fraternite. (Soho’s offer remains open, pending a meeting in May with Jacques, Bonnie, Jonathan and Alain). As Head of Arts for the British Council in Paris, Philippe remained a strong advocate of both The Fence and Acts of Translation, but could not have such a hands-on role. Links to the IETM remain strong through both Philippe and Jonathan who jointly presented on new writing in Europe at the Helsinki IETM in December 2006. On September 28th -30th 2006 Writernet held a 2 day inaugural encounter in Paris at the Theatre du Lierre, of between 5 and 10 playwrights from France and between 5 and 10 from the UK to meet each other and to find ways in which to articulate and explore the issues of inter-cultural dialogue and difference. This is intended as a long term, bilateral London-Paris initiative focusing on playwrighting that engages the diverse communities of our two major world cities. The aim is to explore and learn from different experiences of our changing populations and shifting cultural identities. In engaging with questions of citizenship, belonging and identity – through dialogue and difference - we aimed to draw on the French model of inviting philosophers, thinkers, critics, translators and others in a facilitating role into the theatre discourse. Cultural attitudes and institutional arrangements have led to very different approaches in Britain and France to common questions concerning our future in Europe and the internal make-up of our societies. Theatre – and its writers in particular - can provide us with a shared space in which to examine issues of interaction, accommodation, integration, separatism, conflict and change. What it is now to be European – in London or Paris - with the playwright as interpreter of change? Following the encounter, we decided to explore options - to facilitate exchanges among the playwrights - for them to spend time in each others’ cities, cultures, languages and working environments – to steep themselves and learn and reflect and respond and write. We might also subsequently want to commission translations to improve the flow of work between the two communities of playwrights – towards a community of interest. Through the engagement of institutional partners, we might also want to stage productions of plays in both cities. We planned, in partnership with French and British new writing organisations (see below), a curated programme of activity which will allow for a shared language to emerge… to mediate between the different experiences, perspectives and interests of participants. So as not to spend time introducing who we are and what we do, writernet beforehand created an initial reader in English and French. The project is led by writernet and is linked to their project The Fence, which is a growing network for playwrights and those who make new plays happen across Europe, with a focus on European mobility. With the focus on playwrights, we wanted to broaden the exchange to encompass key players in the sector: Gatekeepers Translators Publishers Thinkers. Over time, we intend to actively solicit the input of a wide range of organisations such as Horschamps and their publication, Cassandre. Farid Paya was our host. Theatre du Lierre, close to the Bibliotheque Nationale, is a building-based theatre company with its own facilities for hosting events. As the new Head of Arts for the British Council in Paris. Philippe Le Moine, for many years international associate at the National Theatre Studio, assisted considerably with the facilitation the project. 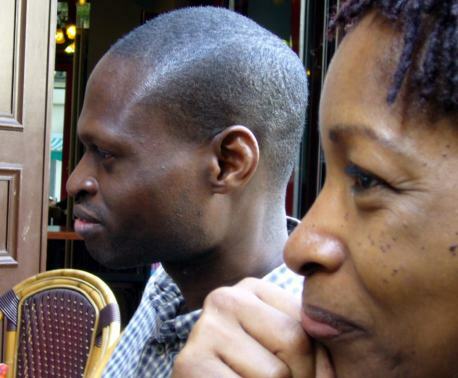 We drew up independent lists of Francophone playwrights to join established UK writers in this dialogue on the changing face of theatre in Paris and London. The present document is intended as a de-facto exercise in digging up the root exchanges, partnerships, contacts and considerations that are necessary in the embedding of the conference as a long-term project in the evolving cultural landscape of the European community. Defining the necessity and context of the planned event is thus important in underlining the role of contemporary European playwrights as cultural ‘hunter-gatherers’ of multiculturalism and just how they negotiate their respective horizons. • With the UK aesthetic of the text that seems to predominate the conception of the dramatic text, the keyword is language. With French landscaping of the dramatic text, I don’t think that we are talking about language but rather image/image-making. If the keyword to the contemporary European performance text is language, then one can still talk about dramaturgy, and a pleasure of the play that is entirely an aesthetic experience as one moves through the subplots. As I understand it, contemporary ‘serious’ French plays mostly use dramaturgy in order to arrive at a direct frameworking of image, rather than language. • What of the palette of cultural communities that make up the contemporary audience? Does cultural diversity in the contemporary European play text require a different conception of consumerism in the theatre, a consumerism that is also prepared to educate and inform, a consumerism that can no longer be satisfied with traditional conceptions of the ‘well-made’ play? Can contemporary playwriting then be said to be capable of recognizing that the very elements of drama – plot, action, character, recognition, reversal, thought – are the very same elements that characterize cultural diversity in everyday life? If the playwright’s voice is to claim any stake-holding in a repertoire of multicultural play texts for contemporary European society, then that voice has to realize that the consumerism that makes up the nature of a contemporary audience relies on the paradox of that same audience’s pleasure: pleasure, yes, a good evening out, most certainly, but there is also the need to witness painful events. Perhaps if we are to understand the role of the European playwright in a multicultural society, then we have to reinvent a poetics of spectatorship that puts a special emphasis on tragedy? Tragedy here also includes tragic-comedy and grotesque farce. Writing cultural diversity in dramatic forms means that playwrights today have to go back to the school of tragedy, redefine the genre, and, more importantly, finally accept that cultural diversity is not a vague template for the art of characterization. Cultural diversity, seen through the perspective of an adequate understanding of tragedy, is not what pulls us apart; it is the force that brings us together. Nothing unites people like tragedy. Memory, sight and expectation are what constitute the consciousness of cultural diversity as it exists in tragedy. It seems to me that the particular demand of a culturally diverse repertoire of contemporary European play texts is that it be time-efficient, that is, efficient for contemporary audiences and society. Like the March Hare, such a repertoire would be alert to the necessity “of being worried about being on time with the next event, the next ‘NOW’. The role of the playwright as interpreter is to create a twenty-first century psyche that highlights the double authenticity that characterizes the contemporary spectator living in a multicultural society. • Cultural diversity in contemporary European playwriting is a challenging proposition, mainly because it means ‘imaging through words’ the different cultures in motion within national boundaries. Cross-cultural playwriting is thus about escaping traditional conceptions of national boundaries, in particular by transforming/ imitating performance traditions that are ghettoised with present-day European acting/ directing/ writing traditions. Participants must not necessarily need to be alert to these traditions, but more relevantly, being aware of this failing within contemporary playwriting. • Establishing a vocabulary would help eradicate the underlying prejudice that comes with encounter with multiculturalism, that is: the ‘People like that’ expression that underlines refusal of the other, and which permeates all spheres of cross-cultural community living. That 'naming things' is the very basis of communication is one thing, but that it should be capable of becoming a condition of language as we move culturally closer, is quite another. Every culturally diverse person has a name, but it is necessary that contemporary European playwrights be capable of creating dramatic characters that evolve in the parallel worlds that make up contemporary global society. In a sense, it is not a case of the contemporary stage catching up with cultural diversity and multicultural society, but rather that contemporary theatre practitioners are waiting for contemporary playwrights to install cultural diversity as an unavoidable framework for life in present-day European society. The need then lies on the dramaturgical level; being able to install signposts of cultural diversity in the narrative and in the action of a performance text. The contemporary play text should be capable of creating cultural clash as a pre-requisite for respecting different cultural identities. ‘Standing back and looking in’ implies both the technique for cross-cultural characterization and the respect for that other culture. Dramatic illusion would have the playwright believe that they can create a culturally diverse character from the ‘inside’. However, it has to be said that cultural diverse characters are only identified as being real when they are evident as being templates of a diversity greater than stereotype (skin colour, religion, gender, sexual preference, etc.). Is cross-cultural characterization then a political act by the playwright? I believe that the role of the playwright as interpreter of cultural diversity in everyday life has more to do with thinking politically than with writing plays where so-called culturally diverse postcard characters obey the laws of political and, more so, religious correctness. BME Theatre in the 21st Century? Waiting for us, the practitioners, to change it, the Arts Council England uses the term BME (Black Minority Ethnic) to describe the creative work of artists originating from Africa, the Caribbean, Asia and East Asia. Further, BME is often contracted to, and used interchangeably with, the single word Black. You can be Black as Japanese and Minority Ethnic as Indian in Leicester, but you can not be BME as Irish in Kilburn, Albanian in Finsbury Park, or Polish anywhere you happen to have migrated in the UK. We are clearly operating in a field of colour: BME is aimed at a broad geographical spread of non-white peoples. It is an attempt to describe, and counter, discrimination as it occurs across British society on the basis of colour. Unfortunately, as BME accompanies and discloses the fault lines of, effectively, a colour bar (making what operates invisibly as discrimination visible by labelling the people it targets), it tends not only to counter but also to reinforce a discriminatory version of the world. One extreme outcome of this is the ghettoisation of BME funded work: BME, non-white, black people must have some small corner of funding to cover their minority interests and audiences – over there, among themselves. The colour of your skin starts to operate instead of you in determining the scope and meaning of your creative work – born of discrimination, marginal in its concerns. Such a view closes minds and limits horizons, denigrates the work and does a disservice to all who see the legacy to our society of the last century as its openness to diversity – a diversity including (but not limited to) its Caribbean, Pakistani, African, Chinese and Turkish influences. Something is needed to break open the stifling contradictions of BME terminology – lumping the interests and outlooks of the artist identified as Vietnamese together with the practices and development needs of Trinidadian steel bands. How can BME account for the slide away from fixed cultural identities in the collaborations between Irish playwrights and African dancers, Philippino and Polish puppeteers, black British actors and a Sri Lankan director? Does BME begin to capture the excitement and complexity of these new encounters in our society – here, now, in Britain today – encounters between artists and peoples drawn from Columbia and Brazil, out of Eastern and Southern Europe, let alone Africa and the wide continent of Asia? It is my hope as an Irish, Nigerian, British writer that our BME voices will become as central to the future and prosperity of Britain’s cultural life as they are to global popular culture – from hip-hop to the Hindi musical. When we speak of BME as of the poor, the marginal and the oppressed, holding that as our understanding of how to pay lip service to diversity, we miss rather an important trick. Both the language and the mind-set prevent us thinking through the relationships between, say, the multicultural and the international in scope and ambition. Who, for example, is in a ghetto whose work opens windows on South India, the West Indies, downtown Lagos? Analysis of the shifting demography of our major towns and cities points already to local hubs of a globally-focused range of creative and cultural practices – in music, certainly, but also in dance, literature, and performance. The potential for cross-fertilisation among our artists is the great white hope of multicultural Britain. Our diversity is the laboratory of future culture. And it involves everyone – in that everyone is changed by it. The success of London’s Olympic bid was built on a snap shot of our athletes and the aspiring young people of the East End as multi-ethnic, multicultural and multi-talented. For creative artists unburdened by the narrow parochialism of British racism, to be transcultural in Britain ought to put you up on a world stage beside our Olympic athletes – at the cutting edge, in global competition. Yet any survey of so-called BME theatre over the last few decades would have to conclude, at the very least, that the sector as a whole has failed to thrive. Why that should be – and why Black and Asian theatre, as it used to be known, has never managed to completely die out in despite of conspicuous failure – is really a question worth asking. Though I can imagine when a theatre that doesn’t employ you takes over the telling of your story that you don’t like it, and you want to take back your sense of self in your own theatre. I ask myself from time to time, do I believe my work to have been limited by being perceived as a BME artist in the prevailing circumstances of British theatre? Ask a silly question… but I come up regularly with two quite different answers. Perhaps the obvious one is yes, I should have been white. And what’s more, if I have to be Black, I should have been Blacker than I am to profit from the ongoing, if sporadic, attempts at positive discrimination and funding. But I’m not gangsta enough to do that. The other answer is no, the life of a playwright is notoriously short, a kind of mayfly that has its moment and vanishes, and I had my day. I and every other playwright I know has had to reinvent themselves in order to keep working. The problem has never been being Black but staying Young. The new Young playwright has often been at it for twenty years, and nothing rejuvenates likes success. So why bother railing about something like BME terminology, let alone the mind-set? Who cares what the industry thinks when all bets are off with a hit? Don’t get mad, get made in the West End. A good BME show is always a hot ticket because people feel it should be there, somewhere. But if success is not the solution to BME failure, what is? There appear to me to be two positions on this. That society as a whole has exercised poor judgment in its management of the whole multiculturally diverse thing and ought to do it more but better. Or, it’s been a mistake from the first and society had best figure out how to retrench in native, core British values that can then be rolled out to the take-it-or-leave-it edges. Either way, there is some work to do. What are those values to be for the neo-nativists, or how to do failure better for the diversifiers? Both of these positions fail to grasp, from my point of view, the reality that our diversity is native. Diversity subsists not in a segment of our society but throughout it, in its very nature. British theatre as a whole has failed to reflect its society. Following a recent Arts Council England sponsored consultation with the BME theatre sector, Baroness Lola Young’s report, “Whose Theatre?”, recommended the development of a network of buildings for BME work into the 21st century. I chaired the presentation of that report to the Arts Council and the initial engagement of BME artists with its various recommendations at the Theatre Royal Stratford East once the Arts Council had decided to back it. Whatever else, the conversation around the issues raised in the report is very lively and instructive. I think it’s fair to say, on the matter of buildings – bricks and mortar, bums and seats, safe houses for beleaguered work – some people will believe it when they see it. Some existing theatre companies would rather shore up their own tenure on buildings. Others voices want clarity on the inclusive or exclusive remit of the buildings in relation different interest groups within the BME sector – who gets to use these buildings and for what?. And some others see new occasions for infighting over scarce resources. But the sector as a whole has said it wants these buildings and that is where the matter rests for the time being. My own suggestion for this network of buildings – given, among other things, the demand for them outstripping supply among BME theatre practitioners – is to focus on their programming. Rather than encourage yet another round of unreflective and unproductive ‘ghettoisation’ of BME-funded work, it may be possible to solicit bids from consortia of BME-led artists and/or producers to run each of the venues on a rotating basis, say, for three years. Free to think outside of the BME box, the remit might be to develop and program work that in their view reflects the diversity of our society – their own or from across British or international theatre. It would be the content of the work and not the colour of the skin that leads in asking what should British theatre be doing to reflect its society? We might then have a network of theatres that describe us now and give us a glimpse of our future. Writernet, Soho Theatre and Goldsmiths, University of London collaborated with support from the Institute Francais and the British Council to create a return leg in London to explore what it is to be working now in our multi-cultural cities…. and Jean Genet’s The Blacks remixed, Translated by Robert David MacDonald; Directed by Ultz and Excalibah, at the Theatre Royal Stratford East. We (re-)met each other, continued and developed the conversations begun a year ago. The Fence is a network of European playwrights established in 2003 and developed through a series of twice-yearly meetings and exchanges at theatre festivals and events across Europe. Curated by Writernet, the network has created a series of international collaborations including the ‘Janus’ translation project in Finland, Austria and Britain (2005-6), aimed at remodelling writer/translator exchanges, and the ‘Acts of Translation’ conference (Paris, 2006) between black Paris and London based playwrights, exploring common ground and structural differences towards closer cooperation in rethinking the role of the playwright in our culturally diverse societies. The objectives of The Fence were to encourage a rethinking of cultural diversity in terms of cultural mobility. To facilitate playwrights in working internationally. To foster relationships between playwrights and facilitators towards closer forms of collaboration in relation to translation and production. And to explore both multi-cultural and international contexts in relation to shared experience of and possible innovation in dramaturgical approaches to writing within and across cultures. In the ‘Acts of Translation’ meeting which took place at the Theatre du Lierre in Paris, September 2006, it was argued that work which operates at a level of pluralism across cultures can facilitate an escape from the ‘prison’ of over-burdened identity issues. That neither in Britain nor France is theatre effectively embedded in the movements of our changing societies. That recent concessions in France to ‘visible minorities’ implied a blind-spot in relation to an imagined ‘invisible majority’. And that theatre in both countries increasingly constitutes its potential but excluded audiences as ‘out of control, dirty, feminine, savage’ – a point evidenced by Gurpreet Bhatti’s experience of the Bezhti riots at the Birmingham Rep, during which a protest banner read “Shame on Sikh playwright for her corrupt imagination”. In the divide between theatres and (alienated) audiences, a certain space opens up in which the playwright/artist operates in a ‘sacrificial’ middle ground. Though a problem, this scapegoating was perceived as an opportunity to re-conceive the role of the playwright in re-thinking the art-form – as a crucible for the tensions of our diverse cities. Follow up exchanges will take place in both Paris and London in preparation for a further meeting in London to explore potential collaborations around the playwright as an artist embedded in and disclosing the evolving life of the city. The initial impulse behind ‘Acts of Translation’ (which does not translate into the French ‘Rencontres Theatrales’) was for culturally diverse playwrights to go outside their society, to Paris, a mirror to London, to see themselves in relation to the other. The variety of our diversities were a first marker of our differences and common currency: Nigerian, Irish, Sikh, Jewish, Caribbean, African American, female and English meeting our equivalents from Guadeloupe, Cote d’Ivoire, Algeria, Morocco, Iran, South Africa and France. A common story of finding “no texts where [we] wanted to speak” formed much of the group’s narrative of wanting to engage in theatre in order to give ‘voice’ or articulation to personal experience. The option of being silenced, or falling silent, was also never very far from this engagement, leading one writer to describe himself as ‘a doubting priest’ in relation to the value or impact of his theatre work. Finding one’s own route to meaningful engagement, the metaphor of the journey, as a narrative, marked more or less everyone’s account of their own work – often as an outsider, or by adopting a trickster persona of playing both ends against the middle, wrong-footing the ‘burden of representation’ placed on the work of ethnic minority artists. The ‘burden’ of identity, carrying forward the legitimate issues and grievances of an ethnic minority, provoked uneasy exchanges balanced between the need to take one’s ‘body’ forward (as well as back) in its contestation of the power to self-actualise in society and the perception that these issues constitute a ‘prison’ (and comfort zone) for the artist, and society does not value that cul-de-sac. Two writers argued their way out of this prison through strategies involving both the personal and the (non) political: the (political) issues can be kept alive, but not at the expense of the creative life of the playwright as a person. The French writers spoke of the failed legacy of Andre Malraux’s ‘art for art’s sake’ post war initiatives in Cultural provision which failed to embed theatre as an art form in the movement and change of French society. Jack Lang’s reversal of funding policy to establish a centralised, official form of culture in the 1980s had nailed the coffin of any thing like theatre as a platform for ‘free, dissident expression’. ‘Recuperation’ was the French word applied to neutralising by partial co-option any challenge to the status quo from emerging, radical art forms such as street rap. In addition to this situation, France is officially a Republic of no minorities. Since the recent street disturbances in France protesting official neglect and exclusion, a certain space has been conceded, as discussed above, to ‘visible minorities’. But what characterises the situation in France seems to be the character of the clandestine, the unassimilated, migrant, fugitive – ‘the hidden (transgressive) character of our age’, perhaps unwilling to be seen. In this context, it is a political act, and a revealing one, to ‘place your language in the world’. Discussion turned to potential solutions to an impasse in which art is conceived as an instrument of social control rather than a tool for resistance, for the liberation of one’s voice, for celebration. The question of how the playwright seeks an audience and is related to a community emerged (she is sometimes of it, yet can be against its treatment of women), whereas freedom to choose our associations – to find commonalities between ourselves in Paris and London, for example – ended the closed session of the meeting on a note of purpose: to engage the city, it peoples and each other.